At The Bridge Bible Fellowship, we are committed to doing all we can to present everyone complete in Christ! (Col. 1:28) To that end, we have several Discipleship Groups for any adult age, life stage and gender. It doesn’t matter if you are new to the church or just haven’t yet attended a group, there is a group waiting for you to join them. Our desire is that each person would be encouraged and strengthened in his or her relationship with Christ and with others (Acts 2:42-47). Discipleship Groups are the heart of The Bridge Bible Fellowship! They’re the place where real relationships and growth in Christ take place. We would love to see every single person not just attend Sunday Services, but also be a vital part of a Discipleship Group so that you can grow in your relationship with Christ and be used by Him to make disciples yourself! If you’re not already part of a Discipleship Group, our prayer is that you would seriously consider joining a Discipleship Group this week. The groups vary in size, but are made up of people who gather regularly to encourage one another, grow together spiritually, pray for one another and provide encouragement and accountability to follow the Lord more closely. What happens in a Discipleship Group? Welcome… This is a time for people in the group to get to know each other. Worship…Groups worship through singing and/or prayer. Word…Each group will spend time studying God’s Word. Groups may have a particular focus or outside text they’re using to augment their study of the Scriptures. 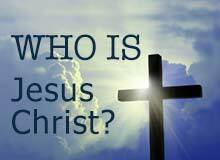 Witness…Each group will plan ways to serve and reach out to others as well as ways to specifically share the good news of Jesus Christ. The following pages list the groups currently going on at The Bridge. Prayerfully consider which group would be best for you and contact the leader directly to ask about visiting the group this week. 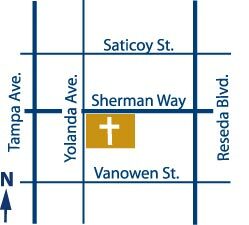 If you have questions about which group might be best for you, please feel free to contact the Church Office at 818.776.1500 to discuss the groups and get some input. 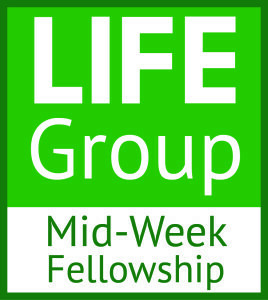 Please contact the LIFE Group or ABC leader before attending a meeting for the first time, just to verify their schedule. TBBF Baptism Class – Contact the Church Office for next class date. If you have ever considered being baptized, or have wondered why we baptize by immersion, all your questions can be answered during this class. Also, if you have made the decision to be baptized we will walk you through the steps to baptism. Please call the Church Office (818) 776-1500 to let us know you’ll be joining us! 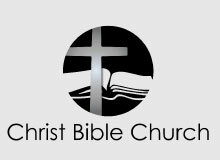 TBBF Membership Class & Lunch – Contact the Church Office for the next class date. 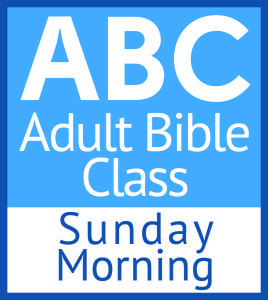 If you are interested in learning about the “A to Z” of membership here at The Bridge, this class is for you! Lunch is also provided. It’s a great opportunity to not only learn all about our church, but you’ll also meet some of our pastors and have the ability to ask any questions you may have. Please call the Church Office (818) 776-1500 to RSVP so we’re sure to have enough food and materials. Thank you!